As an actress, Majel Barrett‘s most recognizable role didn’t have her actually appear on camera. The wife of Gene Roddenberry, Star Trek’s creator, provided the voice of the ship’s computer on The Next Generation and subsequent films and TV series. And although Barrett passed away in 2008, her voice may live on in future Trek series and possibly also your smartphone. According to a tweet posted to the @Roddenberry Twitter account, before she had passed in 2008, Majel’s voice had been recorded phonetically. That allows the producers of future series and movies, like the upcoming Star Trek: Discovery, to re-assemble those individual syllables to say anything in the actress’ voice. 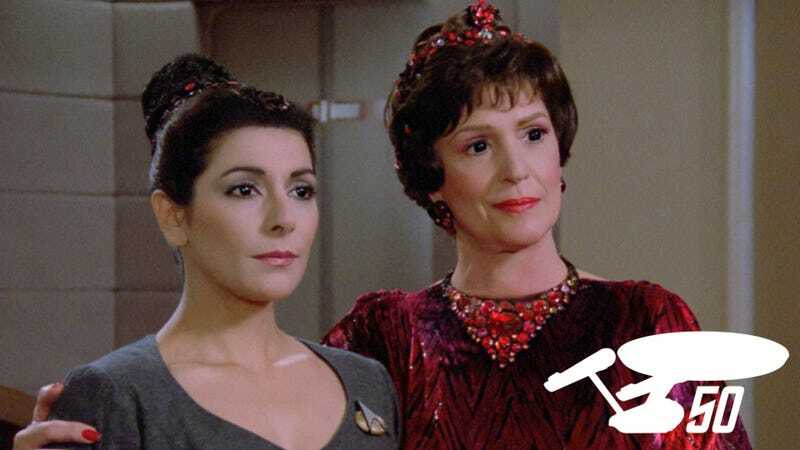 Majel might be no longer with us, but she’ll live on through the fictional Star Trek LCARS operating system. In addition to the new series, it seems like the Star Trek producers are also interested in putting Majel’s voice on your smartphone. At the moment, getting a custom voice for Siri onto your iPhone requires you to jump through some less-than-Apple-approved hoops. But one day the company could allow for third-party voices, downloadable through the iTunes App Store, the same way it has done with keyboards. Once that happens, why would you want anything other than the voice of the Enterprise’s computer answering you?